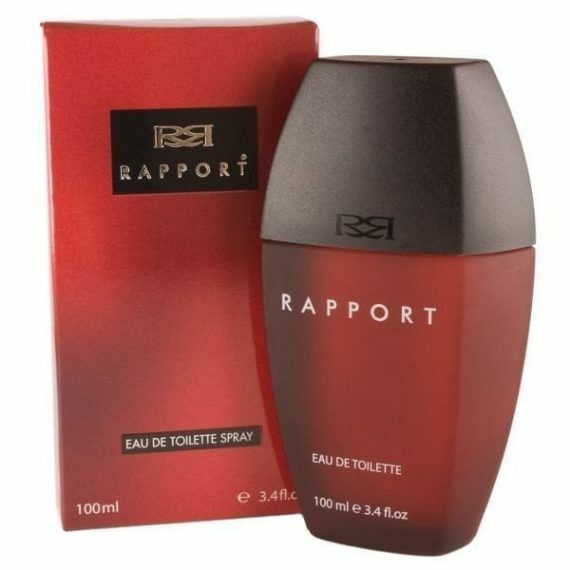 Rapport by Dana is a woody fresh masculine Eau de Toilette which has an aromatic and spicy scent. It opens with top notes of Bergamot and Herbal note and has middle notes of Geranium, Galbanum, Patchouli and Cardamom. The base notes are Moss, Exotic Woods and Musk. It is suitable for every occasion day or night and has the predominant note of mixed spices and long longevity. It was launched in 1988 and comes in a stylish red glass spray bottle with a black stopper. The perfume is available to buy in two sizes – 50ml and 100ml.